Grand Prestige Hotel in the historic heart of Pau. 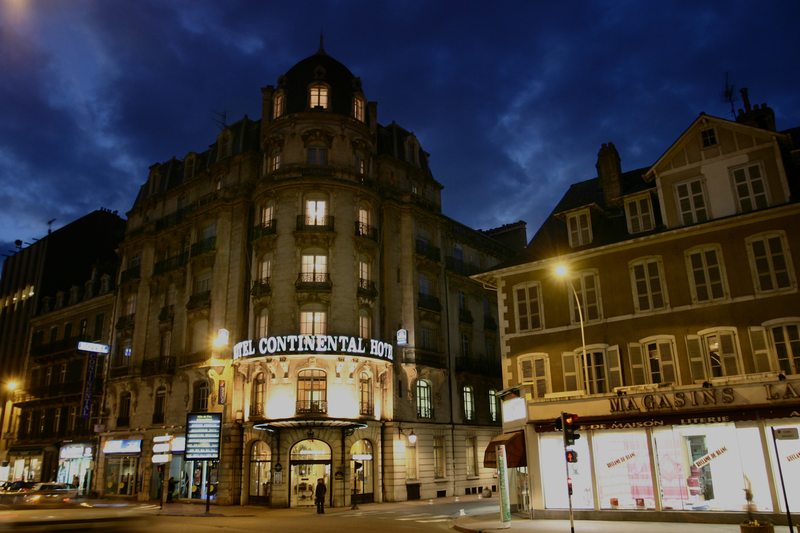 Welcome to the BEST WESTERN CONTINENTAL HOTEL,the prestigious grand hotel in the centre of Pau. The hotel is located in the historical centre, just a few steps away from the 14th century castle, the shopping area, the business and congress centre. The Best Western Continental Hotel entry hall has kept the charm of the original 19th century while the comfortable rooms are equipped with modern amenities. Exploring Pau couldn’t be made easier: just leave your car in the hotel’s free and covered parking lot and start discovering the town: the pedestrian area starts right around the corner. The BEST WESTERN CONTINENTAL HOTEL has 74 rooms equipped with modern amenities. STANDARD, COMFORT & GRAND COMFORT. Accessible from inside the hotel, RESTAURANT LE CONTINENTAL welcomes you to enjoy a chic atmosphere, proposing refined and creative regional dishes. Room service is also available. The BEST WESTERN CONTINENTAL Hotel, the prestigious grand hotel in the centre of Pau, has several seminar rooms for different group sizes available for your meetings. The BEST WESTERN CONTINENTAL Hotel, the prestigious grand hotel in the centre of Pau has the ideal infrastructure to receive GROUPS. We have a large number of rooms available, we can provide all meals and we have different pricing formulas to meet your needs. The BEST WESTERN CONTINENTAL Hotel, the prestigious grand hotel in the centre of Pau has the ideal infrastructure to receive GROUPS. We have a large number of rooms available, we can provide all meals and we have different pricing formulas to meet your needs. If you meet a control terminal, ring at the intercom of the totem and announce that you go to the BEST WESTERN Continental, park your car in front of the hotel to know the garage code.